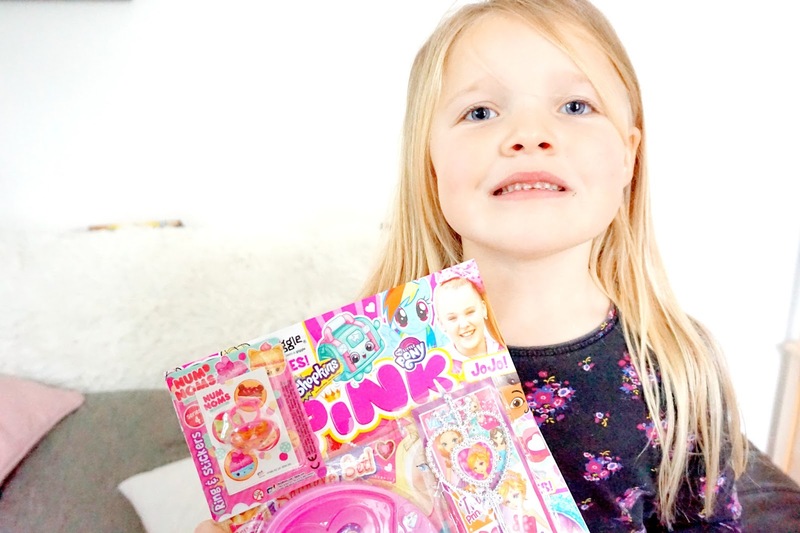 Both my girls absolutely adore magazines, and when they received a PINK Magazine, they were super excited. 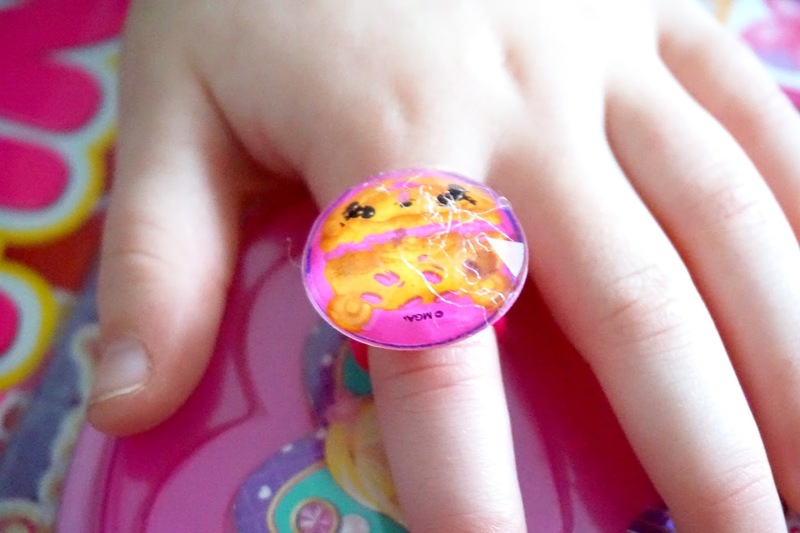 The first thing Mia got excited about was seeing JOJO Siwa on the front page, and Elliw was overly excited about the Num Noms ring that's a freebie with the magazine. I always like to treat the girls with a magazine now and then as it gets them away from their iPad and sometimes they even learn something new. The PINK magazine is full of great things. 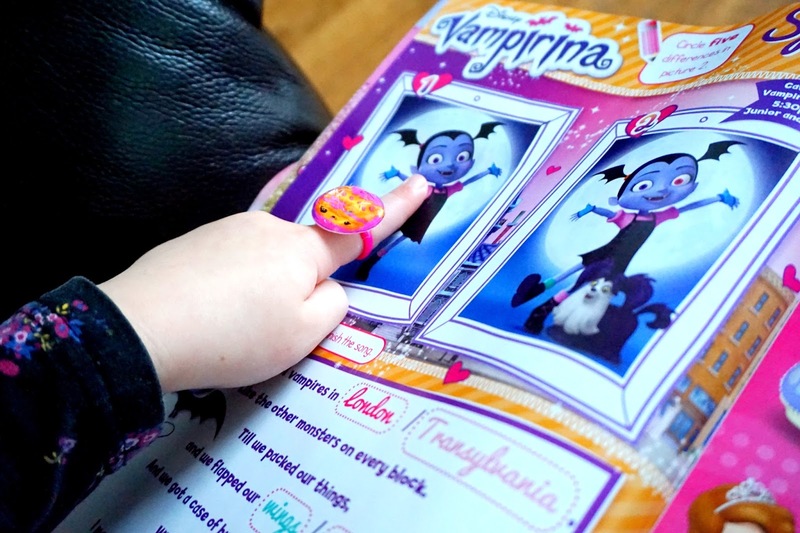 In this issue that the girls had received, it has a few freebies with it such as; Num Noms ring, Wand, Stickers, Secret Diary and notes pad that will fit in the diary. 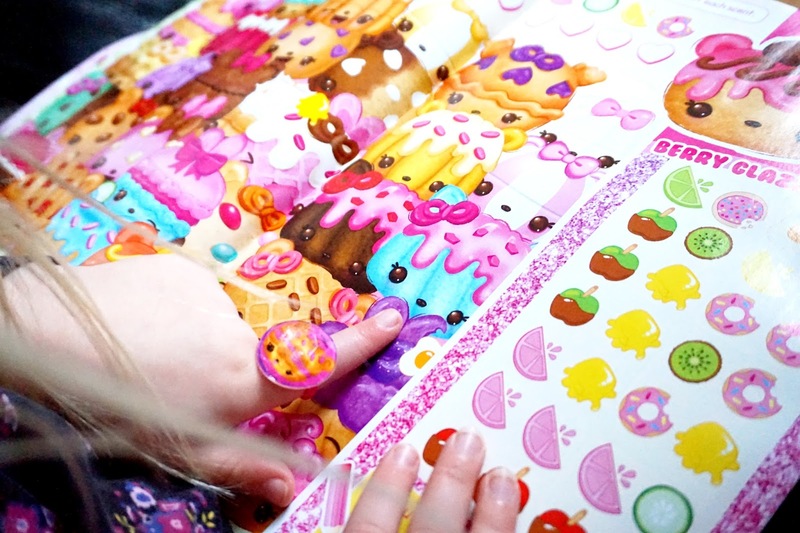 The cover is pink, bright and full of the most popular characters from JOJO Siwa, Shopkins, Little Charmers, My Little Pony and much more. The very first page it has some craft bits which the girls again, got really excited about. They love, just like any kid, love making things. This issue it was to make a Hello Kitty Sun Catcher. They're very simple to do, and you don't need many things to make them. There were also extra stickers too. Throughout the whole magazine, it was full of puzzles, activities, things to make and stories. Even in the stories, there was something educational. I love the fact that each page looks fun for the child, they have fun doing it, but they're also learning at the same time too. Near the end, there is a recipe to bake some cupcakes and the girls instantly wanted to make some. However, I promised them that we will make some during the half term holidays that are coming up in a couple of weeks. So we have saved the page and put it in our draw in the kitchen ready for some baking. PINK Magazines retail at £3.65 which is a great price compared to other magazines. Now for the exciting bit. One lucky reader has the chance to win a bundle of Kennedy Publishing Magazine! The bundle will include the latest issue of each of the following titles: Pink, Cute, Num Noms, Barbie, Hello Kitty, Love From and Cuddles. All you need to do is enter via the Rafflecopter. - Winner will be contacted within 48 hours of giveaway end time. * We were kindly sent this item free of charge in return for an honest review.